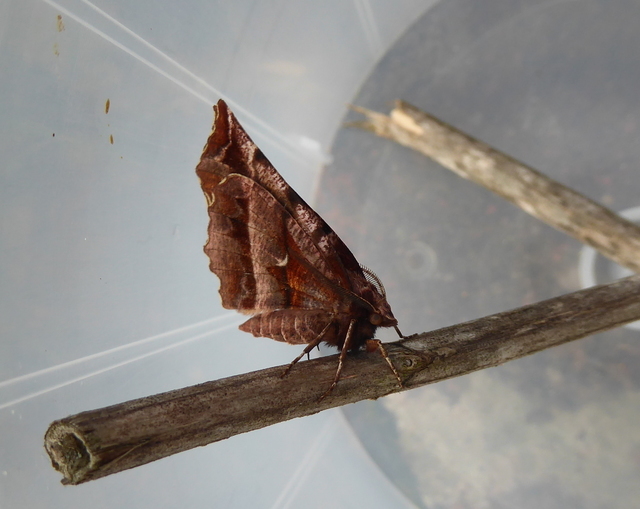 Hereford and Worcester Moths: Pheromone Trap result! 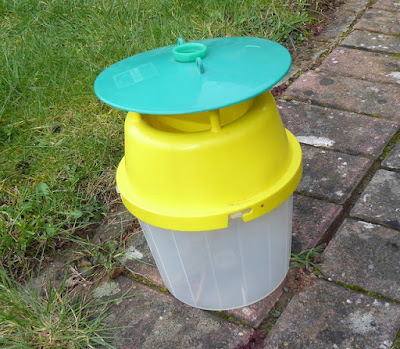 Following a tip off that a recorder based in 'Worcs' had photographed a Barred Tooth-striped by a house door on Thursday, announced on social media, I quickly responded by testing my own ALS Pheromone Trap loaded with a B T-s pheromone bung in my Warndon back garden thinking 'well you never know'. Imagine my feelings just an hour later when I spotted a geo fluttering about through the opaque bottom holding section. Panic off the moth was an Early Thorn. However this short experiment proves one thing - it works. Later this week I plan to check a few bits of habitat in extreme SW Worcs with the trap and maybe some lights. After contacting the above observer via West Midlands Butterflies Facebook it was found that two Barred Tooth-striped were actually seen in NNW Glos about 5 miles from a known colony at Corse. Perhaps time for observers in Herefords to look at a few places on their side of the boundary.